Earlier in February, the Weekend Testing Americas chapter held a session for and with an app called Ubertesters. This is a wrapper/SDK around an app that can allow for people on mobile devices the ability to report what they see and send in their feedback to programmers and stakeholders without having to move to a different machine. I was amazed with the passion of your team to testing and new technologies and tried to stay on track on the way to the way to the airport. I carefully read all the comments and feedback and appreciate them a lot. All the members did a great job, and it will help us to improve Ubertesters user experience for sure. 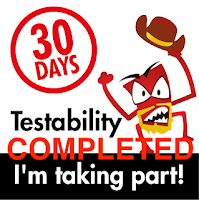 Additionally, Ubertesters contacted me and asked if I'd be willing to share this with the Weekend Testing community, and those who are part of this "passionate" group of testers. I said I'd be happy to. 'Would you like to become part of a global testing provider and join Ubertesters team (http://ubertesters.com/)? I think this is pretty cool, and it's becoming part of a neat trend I've seen as of late. When the product owners and stakeholders of products take part in the sessions, they see and learn a great deal. Not just about their product in action, but their product in action in the hands of testers who really care about their craft. I've had a number of people who have participated in sessions say afterwards that they've been contacted by stakeholders and asking them if they'd be interested in talking to them for further opportunities. This is a continuation of that, and it's a result I"m happy to see. To those who would like to follow up with Ubertesters, a favor. 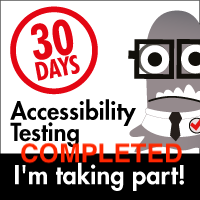 If you do, please mention you are coming to them via Weekend Testers. I can't guarantee that that will give you a better chance of getting in on what they are looking to do, but judging from the feedback and the direct request, I'd say the odds are pretty good ;). Again, thanks to all who participate in these monthly events. Your energy and enthusiasm is what makes them worthwhile and fun to do. Additionally, as I hope the above illustrates, it's noticed. What Force Would it take to Shatter an Ice Cube?